The 27th session of the Universal Periodic Review (UPR) was held at the UN Human Rights Council in Geneva from 1-12 May 2017. Eleven countries were reviewed during UPR27: Bahrain, Ecuador, Tunisia, Morocco, Indonesia, Finland, United Kingdom, India, Brazil, Philippines, Algeria, Poland, Netherlands, and South Africa. The UPR outcome for each State reviewed during UPR27 will be adopted at the 35th session of the HRC (September 2017). The outcome report indicates which recommendations the State agrees to implement, and its responses to other recommendations. This is the only opportunity for civil society to make an oral statement during the official UPR process. The SRI, in collaboration with partners and allies, will work to ensure that sexual and reproductive rights are visible during this segment of the UPR process. The intervening period is an opportunity to engage in dialogue with States on accepting relevant recommendations – and, at the same time, not accepting those recommendations that are inconsistent with human rights norms and standards. It is also a means for gaining the support of media and the general public. Below are some highlights from each UPR27 review. Click here for the full list of recommendations made related to sexual rights, including State responses to date. The UPR mechanism of the United Nations Human Rights Council is used to review each of the 193 Member States of the UN on its entire human rights record every four and a half years. 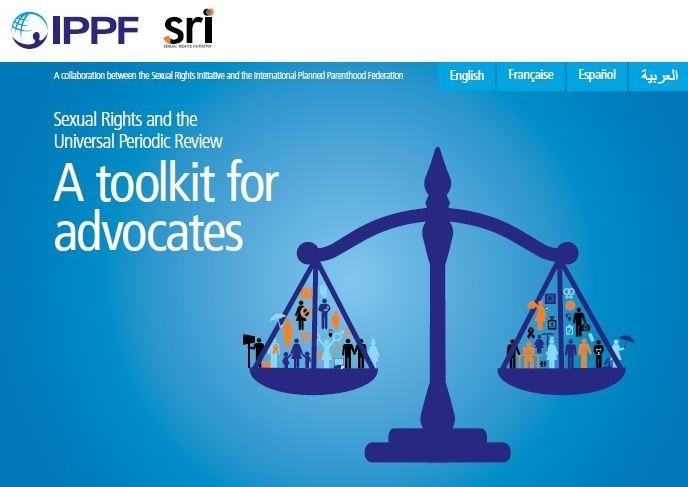 The Sexual Rights Initiative has launched a Universal Periodic Review (URP) Sexual Rights database that records all information from the UPR related to sexual rights. To gain access to the Database, please send an email to database@sexualrightsinitiative.com containing the following information: your name, the name of your organization (if any), your email address, the name and email address of a reference (either an SRI partner, or known to one). Find out which human rights recommendations were accepted, noted or deferred by Haiti, Iceland, Lithuania, Moldova (Republic of), South Sudan, Syrian Arab Republic, Timor-Leste, Togo, Uganda, Venezuela (Bolivarian Republic of), and Zimbabwe during the latest UN Universal Periodic Review. The 26th session of the Universal Periodic Review (UPR) was held at the UN Human Rights Council, in Geneva, from 31 October-11 November 2016. Eleven countries were reviewed during UPR26: Togo, Syrian Arab Republic, Venezuela, Iceland, Zimbabwe, Lithuania, Uganda, Timor Leste, Republic of Moldova, Haiti, and South Sudan. The UPR outcome for each State reviewed during UPR26 will be adopted at the 34th session of the HRC (March 2017). The outcome report indicates which recommendations the State agrees to implement, and its responses to other recommendations. This is the only opportunity for civil society to make an oral statement during the official UPR process. The SRI, in collaboration with partners and allies, will work to ensure that sexual and reproductive rights are visible during this segment of the UPR process. Below are some highlights from each UPR26 review. Click here for the full list of recommendations made related to sexual rights, including State responses to date. SRI Oral Statements made during the 33rd session of the Human Rights Council during the Consideration of the Outcome of the Universal Periodic Review of Ireland, Papua New Guinea, Samoa, Sudan, Tajikistan, and Thailand. The UPR outcome for each State reviewed during UPR25 is adopted during this session of the HRC. The outcome report indicates which recommendations the State agrees to implement, and its responses to other recommendations. The Office of the High Commissioner for Human Rights (OHCHR) has released new guidelines for stakeholder reports in the third cycle. While much of the requirements remain the same as previous cycles, there is an increased emphasis on implementation of existing recommendations. The OHCHR has prepared matrices of existing recommendations for countries up for review and are encouraging stakeholders to fill out the matrix with information on implementation in addition to the report. The matrix can be submitted as an annex to the report and is not included in the word count for the report. Matrices are available on the documentation page for each country on the OHCHR UPR website. Please note that you can still include information in the report on human rights violations that have not yet been subject to a recommendation. The 25th session of the Universal Periodic Review (UPR) was held at the UN Human Rights Council, in Geneva, from 2-13 May 2016. Below are some sexual rights related highlights from each UPR25 review. Fourteen countries were reviewed during UPR25 including: Antigua and Barbuda, Greece, Hungary, Ireland, Papua New Guinea, Saint Vincent and the Grenadines, Samoa, Sudan, Suriname, Swaziland, Tajikistan, Tanzania, Thailand, and Trinidad and Tobago. The UPR outcome for each State reviewed during UPR25 will be adopted at the 33rd session of the HRC from 13-30 September 2016. The outcome report indicates which recommendations the State agrees to implement, and its responses to other recommendations. This is the only opportunity for civil society to make an oral statement during the official UPR process. The SRI, in collaboration with partners and allies, will work to ensure that sexual and reproductive rights are visible during this segment of the UPR process.